I admit, I got stuck in the rut of believing that creativity refers only to the act of creating music, artwork, or a written, theatrical or cinematic work. And so I’d sit, and I’d sit, trying to come up with something creative. Or I’d wonder and ponder, “What will I create”. I wanted a finished product to prove my creativity. And rarely did it appear. Frustrated, I would walk away, not daring to ‘try’ again for a while. The pressure felt too great. My expectations too high. Always looking so far ahead at the finish line, I never saw how I would get ‘there’ from ‘here’. So far, so why even try. I had absolutely no clue of what creativity really means. It’s the process, not the final product, that counts. As I surrender into this wisdom, I see the TRUTH. It truly IS the process. The process of showing up and allowing creative flow to guide me. And when I show up, and let go, trusting my creative flow, I am guided as I write my blog, or create a new program or workshop. It’s this trust that allows me to create. And it’s so much fun! What I also see now, which was never so clear, is that creativity is everywhere. It’s in the creative solution to an old problem. The sumptuous meal made from left-over scraps. The enjoyable workout for a healthier body. The rejuvenation of a old friendship. A brand new perception of the same old thing. Creativity is everywhere we choose to use it. Free Write: Julia Cameron, author of the Artist’s Way, recommends morning pages, three hand-written pages first thing in the morning. I’ve been doing them for 7 years, and I’m amazed at the insights that come from those pages. Any sort of free-flow writing will help you let go of the inner censor, and allow your creative genius to flow. Use music: Music designed for better focus, such as focus@will will help you stay on track during your creative process. Cultivate your own sound track to facilitate focus and flow. 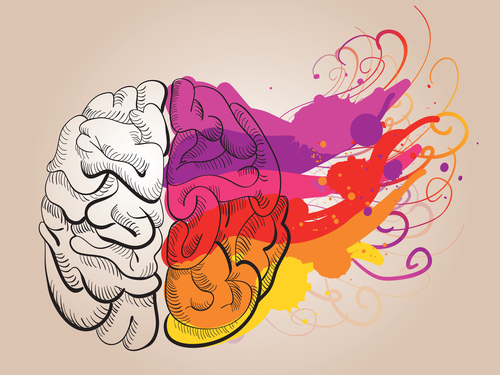 Get out of your head: Creative flow comes from a much deeper place than your logical, judgemental, mind. Allow your intuition to guide you. Try using the Heart Breath to drop out of your busy mind, and into your creative, intuitive heart. Click here for a free guided audio. Meditate, regularly: Meditation will help you tap into the creative metaphors and visualizations which will inform your process. Keep a notepad handy to write down your insights. Show up: Creativity will not flourish without you. Take that first step, and notice, that when you surrender to the process, it all comes together in a way that you never imagined. No matter how messy, when you stay with the process, it will transform. Inspire yourself, daily: Do something every day to help yourself feel inspired to create. Read inspiring literature. Listen to inspiring podcasts. Walk in Nature. Visit galleries. Go to a show. Go window-shopping. Experience places and activities which awaken your sense of curiosity. Use EFT Tapping: EFT will help you clear resistance, fear, negativity, and limiting beliefs. For an illustrated guide on how to use EFT Tapping, click here. To learn more about using EFT Tapping to tap into your creativity, contact me. How do you bring creativity to the world. What is your creative genius eager to share? In the process of recording interviews for my upcoming podcast series, Courageous Heartbeats, I’ve been asking many of my colleagues about the courage they summon in order to follow their hearts to do what they love. However, truly, each step any one of us takes in pursuit of our heart-felt dreams is indeed an act of courage! Courage shows up in so many different ways and sizes. There are the enormous leaps, such as leaving a job to start a business, or leaving an unhealthy marriage, and the smaller, ongoing, everyday acts of showing up to do the work. I’m interested in every act of courage. Why? Because fear hides everywhere. And when courage has the guts to overcome fear, that deserves to be noticed. Noticing our acts of courage can help us feel more courageous, and step out of the fear that holds us back. For some of us it can take an enormous amount of courage just to send an email to a prospective client. For others it takes courage to show up each morning to create something fueled only by the glimmer of an idea. It takes courage to introduce yourself to someone you don’t know. Courage to speak your mind. Courage to express your creative gifts. Courage to change your routine. Courage to stop smoking, drinking, or eating junk. Courage to break through the habit of procrastination, or over-busyness, or holding back your gifts. Keep a courage journal – Write down each day the ways in which you’ve used courage. 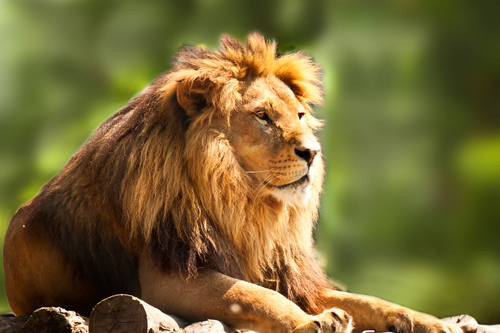 Grow Your Courage – Decide on an area in which you’d like to be more courageous. Create a list of small steps you can take help yourself feel more confident. Take action. Imagine Yourself Courageous – Choose a future scenario where you’d likely be scared. See yourself there, and imagine feeling calm, centered, and courageous. The more details, the better. This exercise will help you feel much more comfortable as you approach your goal. 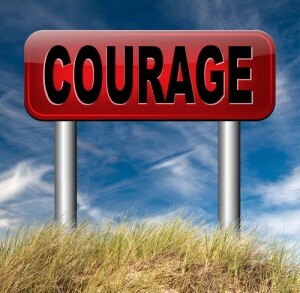 Tap in Your Courage –– Use EFT Tapping to tap in phrases such as: I Love Feeling Courageous, I Love Breaking Through Fear, Courage Feels So Good, I Love Making Progress, etc. For an illustrated tapping guide, click here. Click here to register for free Online Training: HOW TO OVERCOME THE FEAR OF SHINING IN YOUR BUSINESS SO YOU CAN DO WHAT YOU LOVE. A workshop for heart-centered solopreneurs, entrepreneurs, and creatives. That trusty mind-chatter loop, you can always count on it to remind you about what you haven’t done, what’s wrong with your life, your body, your finances, and anything else that could possibly worry you. It’s sneaky, convincing, sometimes outright manipulative. It will do anything, and everything, to win the grand prize of controlling your every thought and action. It will spin you down dark spirals, it will keep you hiding from opportunities, it will deny you your peace of mind. Many clients tell me it visits them at night. That’s its favorite time. That window of time when we lie captive in the dark, the mind-loop swells ominous. Mine tends to show up right before it’s time to get up for the day — trying to scare me back to sleep. What’s important to realize is that the mind loop is truly all in your head. It’s the ego/brain’s way of keeping us safe, in its own strange way. The problem is, when you’re stuck in a mind loop, your mind is not free to access helpful information or solutions. 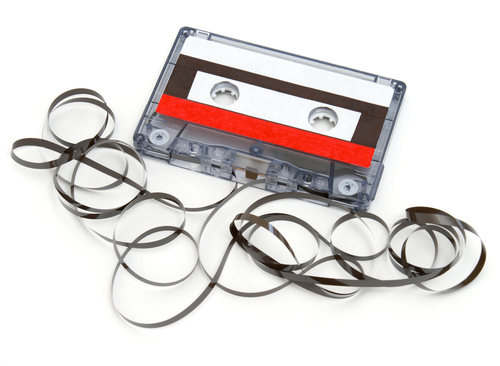 When your mind is wrapped around what’s wrong…. that’s all it sees. It cannot see anything else. Un-loop your mind, and you will see the possibilities. You will see the solutions you never knew were there. Here are some suggestions to unloop the mind-loop. Write — Use writing to move looping thoughts out of your head. Write your to-do list into a notebook which you can refer to on a daily basis. Keep a journal to do a morning or evening mind-dump. Write solutions to problems. Write down your dreams and goals. Refer to them on a regular basis to build and refine. Once you move anything out of your head it’s easier manage. Get Physical– A mind-loop will keep you spinning in your head. Do something physical, to move back into your body. Take a walk. Jump up and down. Exercise. The goal is to focus on the physical activity, and the feelings in your body. Sit Quietly — Close your eyes, and breath slowly and deeply. Notice how you feel. Watch your breath as it flows in and out of your body. Notice any thoughts, without judging or engaging with them. Sit quietly, breathing deeply, for as long as you like. Do the Heart Breath — Similar to quiet sitting, with the Heart Breath, you imagine that you’re breathing in and out of your heart. Breathing this way for a few minutes will help you drop out of your mind, and into your heart. 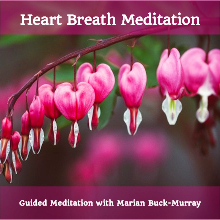 Click here to download my Heart Breath Meditation. EFT Tapping — EFT Tapping is a powerful way to clear a persistent mind-loop. Tapping helps to dismantle neural pathways that keep us stuck in habitual negative patterns. If you’re familiar with EFT, use it to tap on your feelings about specific aspects of the mind-loop. For example, use it to tap on your feelings of anxiety about the project you haven’t started. Once you begin to clear the anxiety, new solutions will begin to appear. Click here to learn more about EFT Tapping. Warm up. Spring flowers will not grow unless it’s warm enough outside. A cold snap will kill them. Don’t expect to go from cold to full bloom. Warming up is what enables us to endure, and enjoy, the road ahead. Warm up to your dreams. Ease into new experiences. Strengthen your skills by stretching your creative muscles. Add warmth to your environment with supportive people, and encouraging thoughts. Soften your soil. Just as hard rocky soil impedes plant growth, being hard on yourself will impede your desired growth. Soften your approach to yourself. Understand that growth of any kind needs acceptance of where you are right now. It’s from this softened place of acceptance that you’ll be able to take the steps that will lead you to your dreams. Clear out the weeds and pests. A garden clogged with weeds, and ravaged by pests, will never grow to its full splendor. Pesky negative mind chatter will clog your mind, making it impossible to think clearly about your next steps. Doubts and worries will squash your ability to create your desired experiences. Releasing mind chatter will help you clear the way to your heart’s desires. EFT tapping is a perfect way to clear the out negative mind chatter. Contact me to learn more. For a guided Heart Breath audio, to help you drop out of your head, and into your heart, click here. Nourish your Environment. Nutrient-rich soil, fertilizer, water, and sun all help nourish a healthy garden. Julia Cameron, Author of the Artists Way, recommends regular artist dates with yourself in order to nourish your creative juices. Julia tells students to “fill the well” with activities that inspire and empassion. Nourish your home and work environments as well, with elements that speak to your own unique expression. Allow ample space. Just as flowers and trees need space between them – your dreams and desires need space as well. Give yourself that space. Allow quiet, undistracted pockets of time to meditate, envision, create, and nurture your dreams. Ready to clear out the pesky negative thoughts and beliefs that are blocking your success? Click here to schedule a free 30-Minute Unleash Your Creative Genius call. Courage. When I think about courage, I’m reminded of the Cowardly Lion. He was always so aware of what he couldn’t do. So painfully ashamed of the enormity of his fear. Over and over he cowered. Finally, he summoned the courage to follow Dorothy, Tin Man, and Scarecrow to visit the Wizard. Thankfully, his friends wouldn’t allow him to back out of his quest for courage. It takes a lot of courage to trust our inner urges. It can feel scary to reach for courage. Having courage means doing scary things. Sometimes that’s enough to stop us. And, just like the Cowardly Lion, we’ll do just about anything to talk ourselves out of it. Here are 5 tips which will help you in your quest for more courage. ONE: Start safe. When you’re stepping out in a new way, start in a safe place. Practice first with supportive people. For example, if you want to speak in front of a group, start with a small group, or even one of your friends. If you’re holding back a creative work, start by sharing it with someone you trust. Just start. The goal is to build confidence and courage along your way, so that you feel comfortable, and supported as you go. TWO: Take Baby Steps. Often we’re afraid of the big goal that looms in the distance. Looking so far off into the future can feel as scary as Wicked Witch of the West. Small, gradual, steps are what will help you build experience, momentum, and courage. Acknowledging your results, however small, will encourage you to move forward. THREE: Take notice of the courage you’ve shown in the past. Big and small. For example, perhaps you dragged yourself to a networking meeting for the first time. Or you sang in front of a friend. Starting, or breaking up, any type of relationship takes enormous courage. Then there are the biggies like moving, changing careers, facing illness and loss, and speaking up for yourself. Harness the feelings of courage you’ve already displayed. En-courage yourself. FOUR: Look to Nature. Nature is bursting with metaphors of courage. A bud emerging from the thawing earth. 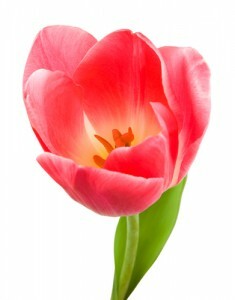 A flower opening from its bud. A butterfly emerging. A baby bird taking first flight. Find a metaphor that works for you, and envision your emerging beauty. FIVE: Use EFT Tapping. EFT is a fabulous technique for releasing feelings of fear and anxiety. A very effective technique for reducing cortisol, the major stress hormone. Learning how to use EFT Tapping will help you calmly navigate the scary places. Contact me to learn more about EFT. Sign up for my Free Online Training: 5 Steps To Overcome the Fear That’s Holding You Back in Business, so You Can Have the Courage To Shine. Discover how to boost your courage to shine with a Free 30-Minute Unleash Your Creative Genius Call, click here.